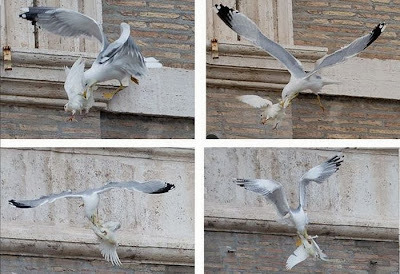 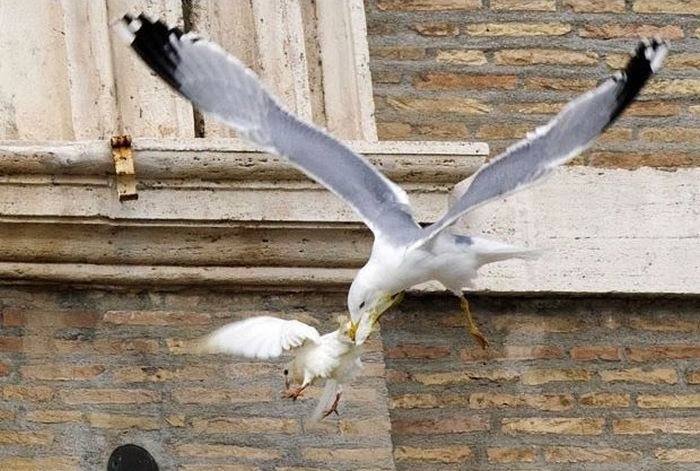 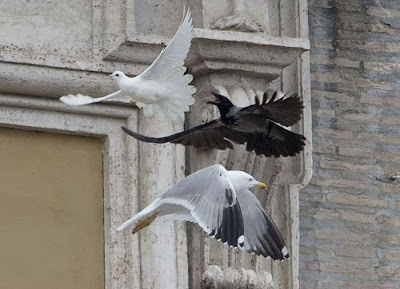 Pope Benedict's dove of peace attacked by a seagull. 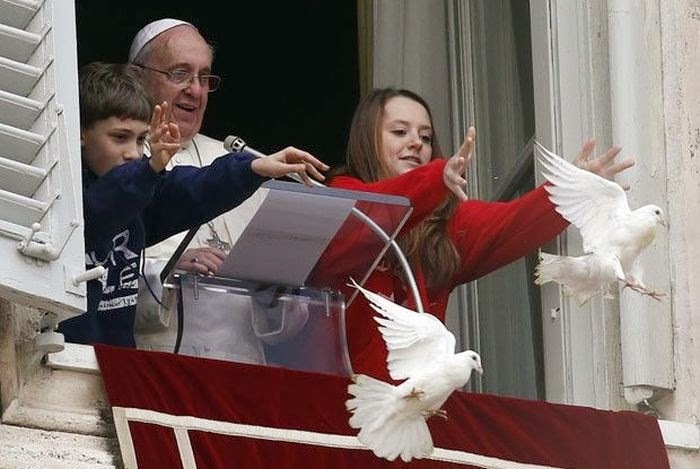 Did you mean Pope Francis? And there's no problem, God invented natural laws so it's ok by the dove and seagull.